Three teenagers are in hospital after taking suspected drugs in Manchester. Shortly before 5.30pm yesterday (Thursday), police were called by hospital staff to reports that two teenagers had been admitted suffering from what is believed to be the effects of drugs. The two boys are aged 14 and 15. 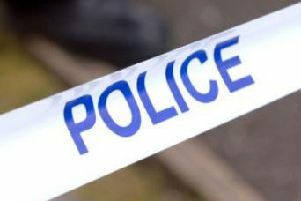 The 14-year-old boy is in a critical but stable condition and the 15-year-old is now being treated in a ward. A third boy, a 15-year-old, is also in hospital receiving treatment and is currently in an induced coma. The boy was initially arrested on suspicion of possession with intent to supply but was taken to hospital when he became unwell. A 40-year-old woman has also been arrested on suspicion of possession with intent to supply and remains in custody for questioning. 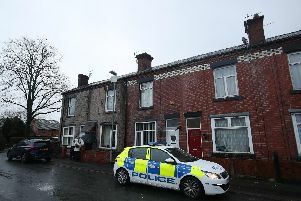 Detective Chief Inspector Kate Atton, from GMP’s Bury borough, said: “The teenagers took what are believed to be illegal drugs sometime on Wednesday 16 January, and subsequently they became unwell before being taken to hospital on Thursday evening. “An investigation has been launched and there are tests ongoing to establish what the boys have taken and in what quantity. We’re working on the assumption that they have consumed an illegal drug, but at this stage it is still unclear what this is. “This is an extremely serious incident, with three boys from the Redvales area of Bury in a serious condition in hospital. “We are concerned about any other people in the area who may have taken whatever these boys have and I would urge anyone who has to urgently seek medical attention. We cannot say what the drug is at the moment as tests are ongoing, but we do expect that people who have some of these drugs may well have heard what has happened. “If you know you have taken this drug you should seek medical advice immediately at your local hospital. Anyone with information should call police on 0161 856 2459, 101 or the independent charity Crimestoppers anonymously on 0800 555 111. Anyone who has concerns about drug use can contact Bury Early Break Substance Misuse Service on 0161 723 3880 or the local Alcohol and Drug Service on 0161 253 6488.